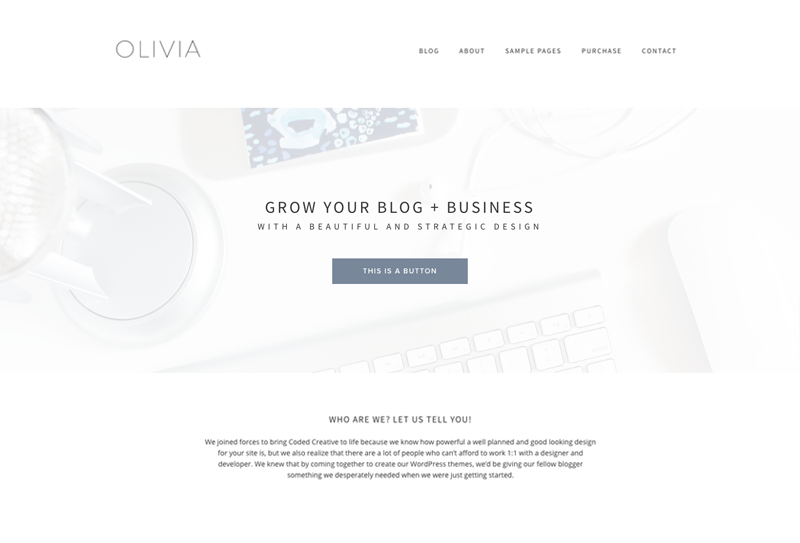 Olivia is a simple website and blogging template created for the WordPress platform. 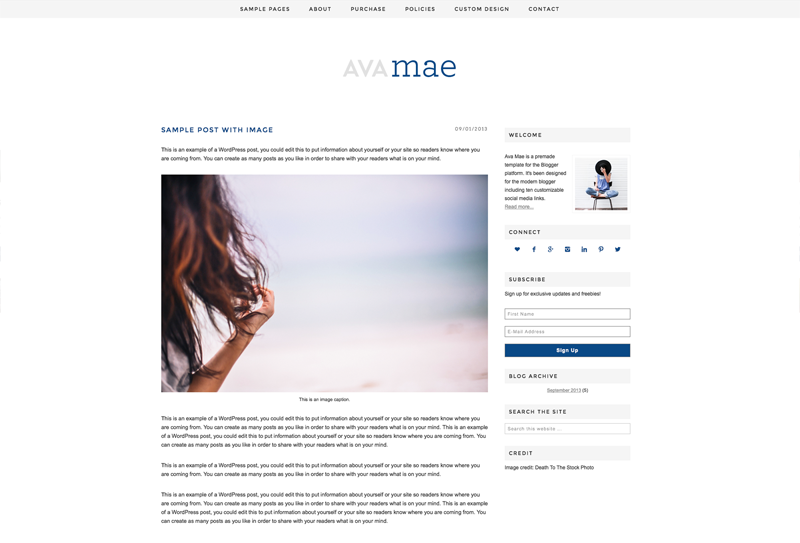 It was created for business owners looking to create a more cohesive space that will lead to more page views, opt-ins, and sales. 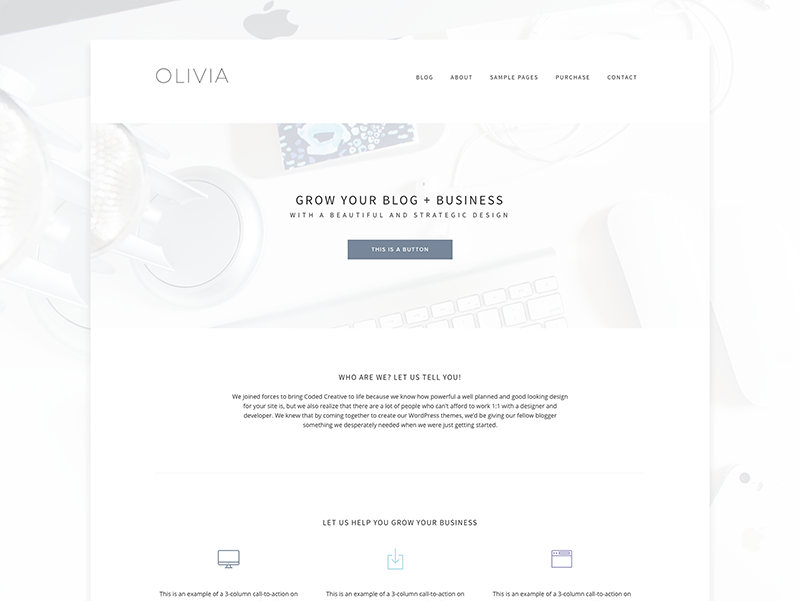 I had been considering a face lift for my site for quite a while and when I saw what Coded Creative had created in the Olivia theme, I knew I had to have it. Olivia had everything I was looking for. 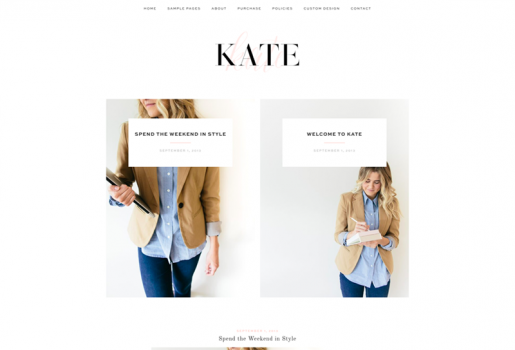 My site is now much easier to navigate and has a fresh, fun modern new look that I am absolutely in love with! And, from the feedback I have received, my readers love it as much as I do! As soon as I saw the sneak peek of Olivia, I was smitten. 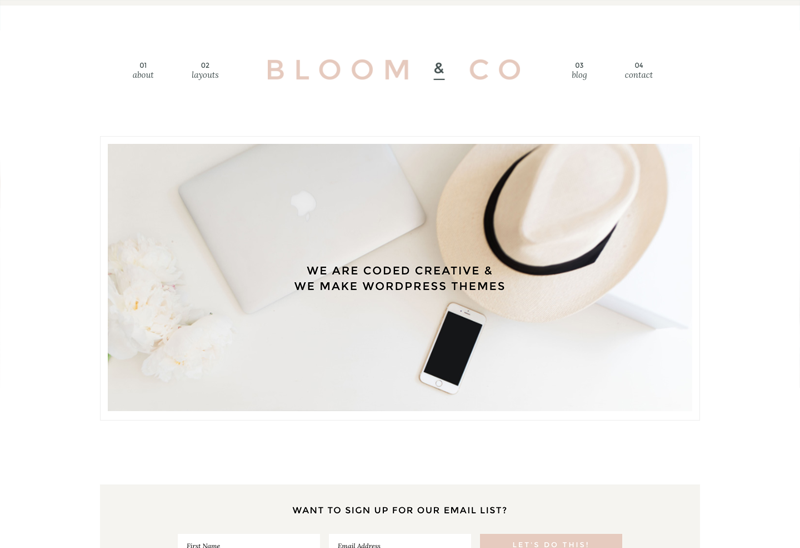 Coded Creative created a theme that is both beautiful and functional. 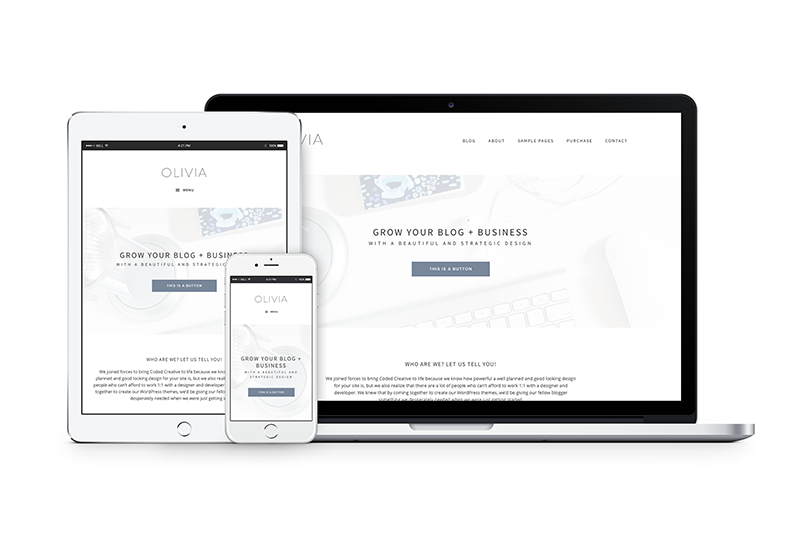 The Olivia theme is set up in such a way that my readers can easily navigate to my educational resources and blog posts, and contact me to work with me. 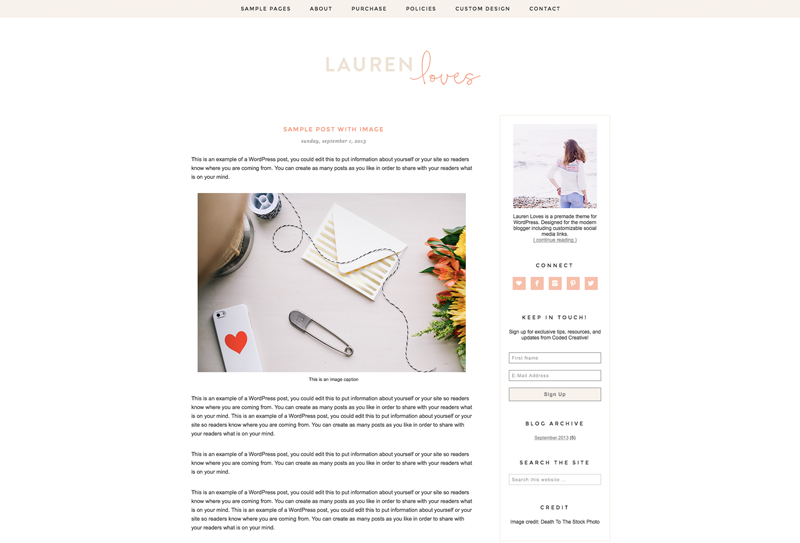 I feel like my site is much more professional than it was before, and I'm already seeing better conversions, from blog readers to clients! Thank you so much! I needed a theme from designers and developers who knew what they were doing. 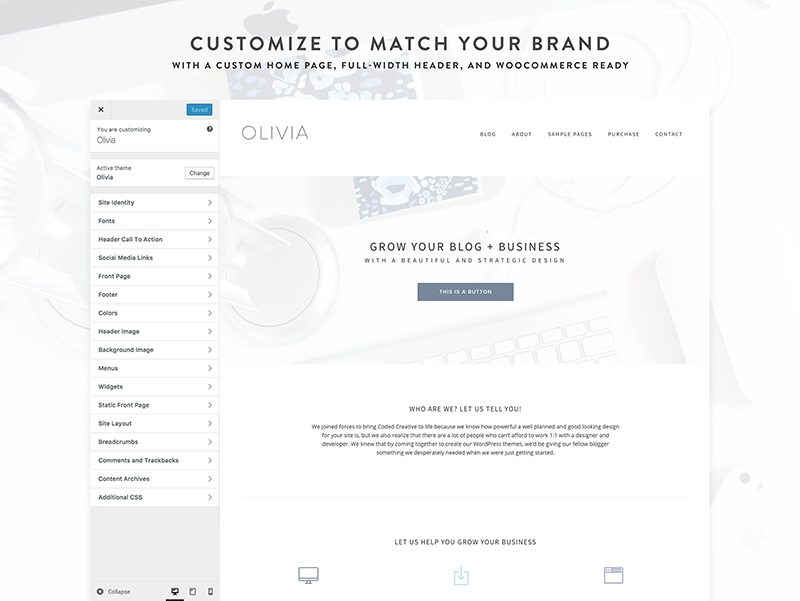 Olivia is a beautiful theme, it's exceptionally easy to work with, and it does everything I want it to! But I still feel like I can customize it to reflect my brand. I'm so pleased with it!